LEO SMITH-cellist, journalist, composer, and teacher-was one of the most picturesque and frequently idolized artists on the Canadian scene. His career spanned the years between the old music and the new, between the time when artistic education was private and the time when people fasten their cultural hopes on public education and government funds, between the last days when white gloves were worn to drawing room musicales and the days when men dash to recitals without ties. Throughout this period, Leo Smith not only composed and performed for the public, but carried his public with him into the new era. His history, then, provides a changing picture of the Canadian cultural scene through one of the most formative periods in the country's social history. To the crowds at large popular concerts such as the Toronto Proms, this elderly, contented musician represented the epitome of the music maker. 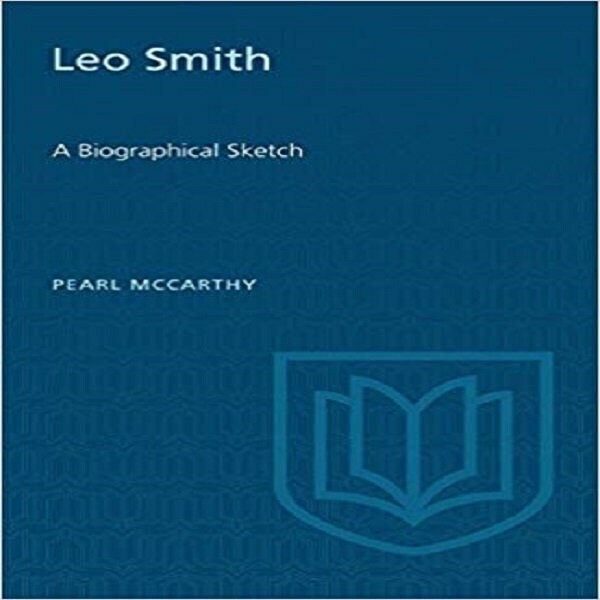 In his music, Leo Smith bridged the gap between the old orthodoxies and new idioms, and as a teacher of theory and composition, he showed a younger generation, intent on yet newer innovations, how to be consistent as creative experimentalists. And in the last years of his life he moved out of the scholar's study into the hurly-burly of a metropolitan newspaper to become one of Canada's most trenchant and informed music critics. Pearl McCarthy's biography vividly recapitulates the Canadian musical scene between 1910 and 1952 and provides a coda to the career of an important influecne in Canadian music. PEARL MCCARTHY, art critic of the Toronto Globe and Mail, and a graduate of Toronto and Oxford, has been writing on the arts in Canada since her return to this country in 1927. In private life she is Mrs. Colin Sabiston.